Find Econo Lodge Airport at RJ Stadium deals, discounts and special offers. This hotelhas a steakhouse, conference facilities, 350 rooms, and is 3 miles from the airport. Set on 35 acres of wildlife preserve, this resort has tennis courts, pools, nature trails and several restaurants. The Westin is adjacent to the Convention Center, offers pool, restaurant, and a smoke-free initiative. Accessed by airport shuttle, this Sheraton offers free high-speed internet, a fitness facility and two restaurants. The Marriott Waterside has 50,000 sq feet of meeting space, a full-service marina, pool, spa and three restaurants. Connected to the Convention Center, the Embassy Suites has 2-room suites, cooked breakfasts, fitness center and spa. The Hilton Garden Inn is in Tampa East, near business offices, with a grill, free internet, business center and gym. With 277 rooms and 16 suites, this hotel offers a fitness center, free wireless internet, & free local-area shuttle. 16 stories in the heart of Tampa Bay on Rocky Point Island, this waterfront location offers bay views and private beach. Luxury hotel in downtown Tampa, FL. The hotel has a seasonal outdoor pool, fitness center, business center, and offers a complimentary breakfast. Located within the International Plaza shopping and dining mall, the hotel is near downtown, beaches and the airport. The hotel is conveniently located to Busch Gardens, the port, downtown, the university, the Aquarium and Ybor City. 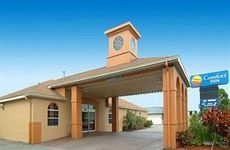 This pet friendly hotel is located close to Busch Gardens Africa theme park and Adventure Island water park. Adjacent to the Tampa Bay Performing Arts Center, the hotel is also accessible to the Museum of Art.